Setwear Gloves and Tool Pouches for Film and Video. Gloves, Tool Pouches and Bags for Film, Video and Photo Production. 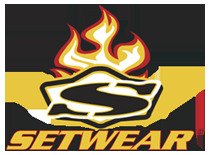 Setwear provides gaffers, DPs, camera professionals, set lighting technicians, electricians, sound men, stage hands and other professionals with all the Setwear essentials required for a smooth production. This California-based company manufactures rugged gear exclusively for industry professionals who need reliable, innovative products to make their jobs easier. 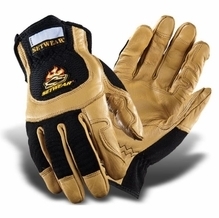 They manufacturer a collection of rugged gloves for gaffers and grips, as well as a variety of products to help production professionals carry large, fragile or tough-to-grip equipment on set or on location. 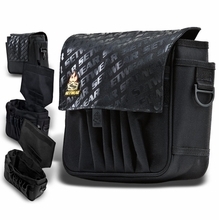 They also manufacture top-of-the-line tool pouches for on-set organization. 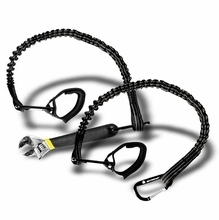 Setwear products help you keep your most-used items at arm's reach when you need them most. Browse our Setwear gloves if you're in search of the perfect pair of gloves for lighting, grip, sound, rigging and more. Setwear rigging gloves feature extra padding on the palm and fingertips, as well as grip-enhancing outer materials to assist with carrying fragile items. They also make handy tool pouches, bags, belts and tool leashes to keep your gear safe and organized. Depending on your need, we have the right Setwear tool pouch you're looking for, including a small belt bag for your flashlight and a jumbo pouch for extra gear. Questions? BarnDoor Lighting is always on hand to assist you at 1-888-276-3667 or by e-mail at info@barndoorlighting.com.